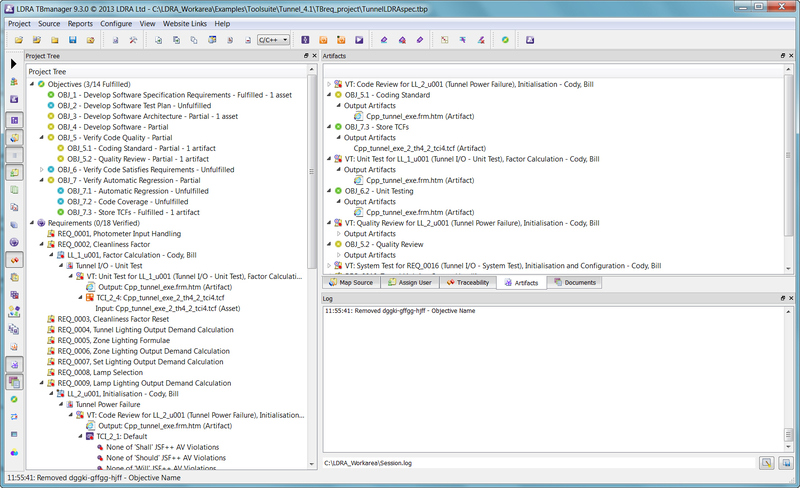 TBmanager is a task-based interface to the LDRA tool suite that creates a common user experience among the full suite of LDRA modules which accommodates regression suites, test scripts and the testing of applications developed using multiple programming languages. “The launch of TBmanager marks another significant milestone in the area of requirements management and the ongoing development of the LDRA tool suite. The ability to be able to control the tool and assign tasks remotely as well as through the management dashboard brings great benefits and savings for our clients and greatly aids the process of requirements management and traceability.” said Ian Hennell, Operations Director of LDRA. With the latest TBmanager release supporting a drag / drop facility, users can quickly and easily add documents such as instruction documents or project documents into the requirements part of the programme. These may be used to assist other users or to further develop and enhance the quality of testing. • Define and Manage Project and Certification Standard Objectives. TBmanager now has the capability to manage project and certification standard objectives alongside requirements. This allows users to track and manage the status of higher level objectives outlined in associated standards such as DO-178B, ISO etc. The fulfillment of objectives is enhanced by the drag/drop functionality of TBmanager to highlight relationships between objectives, requirements, test artifacts and project documents. • Manage Process Assets and Test Artifacts. 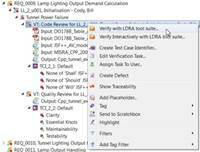 LDRA Tool Suite test artifacts generated from Code Review, Quality Review, Unit Test and Code Coverage are automatically collated via TBmanager and associated with the user and test in which they were performed. Verification artifacts can then be linked/associated to requirements and objectives to provide certification evidence. • Collate References to External Documents. List and Manage evidence and traceability documents. Assign as Assets/Artifacts for use throughout the Project. TBmanager maintains a repository of external documents and files to assist in the listing and management of evidence and traceability documents. All external document references can be used throughout the TBmanager project and linked to objectives, requirements and tests to provide assets to users responsible for tests or as evidence of fulfillment. • Document Placeholders. 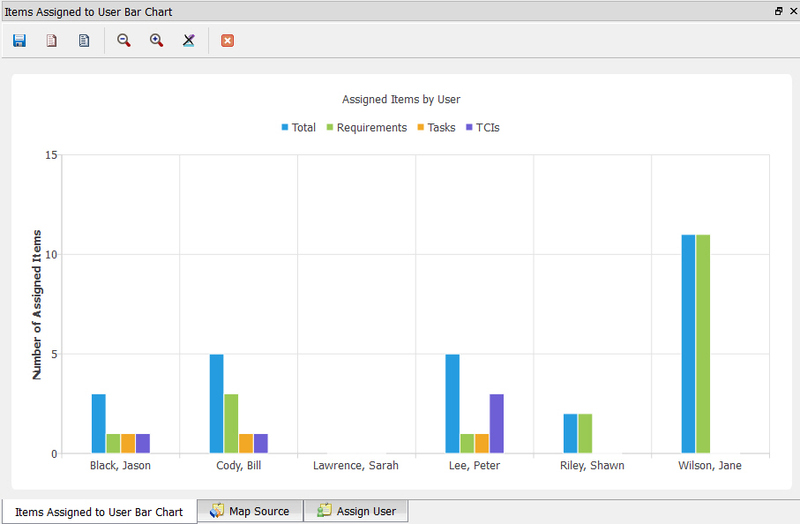 Create placeholders to define desired results and process deliverables. To assist in information sharing, TBmanager can create document placeholders to define desired results and process deliverables. This enhances collaboration with team members as deliverables can now be defined by the project manager and are visible together with further information in the subproject/user workspace. Users can then assign desired results or deliverables to the placeholders which are then available upstream for other users or the project manager. • Strong Coupling with TBvision to Browse Test Results. 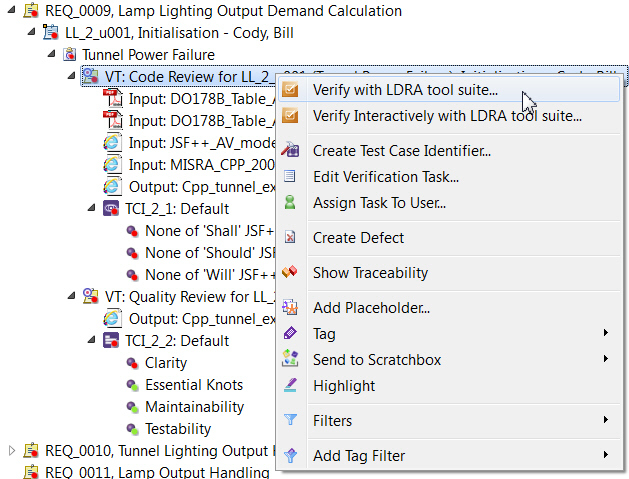 Through a strong coupling to the existing applications in the LDRA Tool Suite, TBmanager can display Code Review, Code Coverage and Code Metrics using the powerful reporting capabilities of TBvision. Each test result can be visualised in detail filtered only for the aspects under test or for the system as a whole. Through a tight relationship with TBreq, TBmanager links to DOORS, Word, Excel and many other requirement repositories.